In the aftermath of the 2019 general elections, the project will examine the implications of the 2019 election results for the party system, economic policy, Center - State relations, and foreign policy. UPIASI held the conference in collaboration with O. P. Jindal Global University in Colombo. The project was funded by a 100,000 USD grant from the Ford Foundation and brought together scholars from/on countries of South and Southeast Asia, as well as USA and Australia for a broader comparative perspective on the subject. During the two-day conference, scholars addressed constitutional issues in their respective countries, most of which have confronted challenges to constitution-making and constitution-building in conditions of ethnic/ religious/ linguistic diversity and socio-economic inequities. The resulting publication, we anticipate, can contribute both to general constitutional, legal and political theory and also to better understanding of specificities of particular countries. 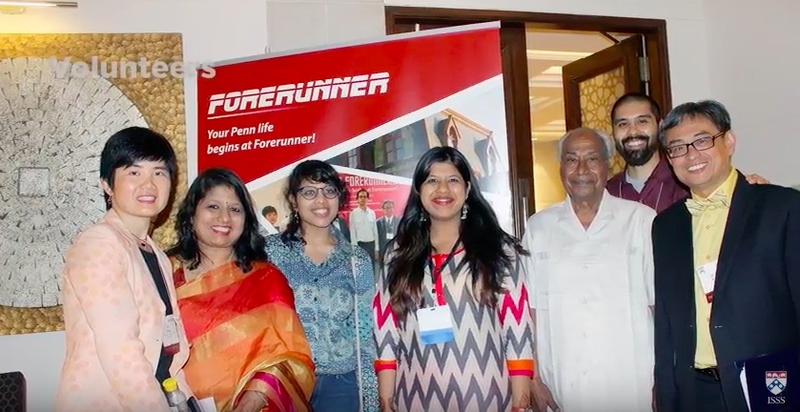 Recently, UPIASI has partnered with Penn Global to support the new India Research and Engagement Fund, and its India Forerunner program (pictured below), which supports newly admitted students in their transition to life at Penn and the United States.